In the heart of London on New Bond Street in 1744, an auction house was born with a revered tradition of marketing the world's most cherished possessions. As the oldest company listed on the New York Stock Exchange (BID), Sotheby's has a global network of 80 offices in 40 countries. 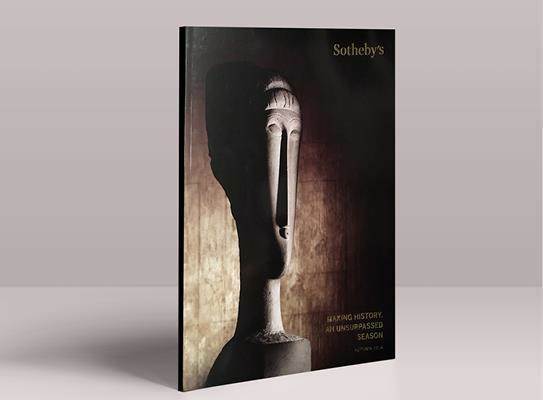 Today, Sotheby's presents auctions in ten different salesrooms including New York, London, Hong Kong and Paris. Sotheby's offers collectors the resources of Sotheby's Financial Services, the world's only full service art financing company as well as private sale opportunities in more than 70 categories, including S|2, the gallery arm of Sotheby's Contemporary Art Department, and two retail businesses, Sotheby's Diamonds and Sotheby's Wine. In 1976, an exceptional real estate company was launched and created from the same passion that guides the Sotheby's Auction House. With the vision of becoming a commanding presence in the representation of the world's most unique properties, it is the Sotheby's International Realty® brand that strives to represent all those who consider themselves the "Connoisseurs of Life," and to represent the distinctive properties they so desire. Consistently among the top ten largest aggregated real estate brands in the Puget Sound region, our brokers maintain the highest average listing and selling prices in the markets we serve. We are productive too, generating more than $1.6 billion in annualized sales and earning our firm the highest average closing volume on a per broker basis when compared with our peer group. From 2012-2017, the Puget Sound Business Journal named Realogics Sotheby’s International Realty one of the Fastest Growing Private Companies in Washington. Realogics Sotheby’s International Realty offers one-of-a-kind marketing resources, including exclusive advertising platforms such as the Home of the Day on the Puget Sound Business Journal, Geek Home of the Week on GeekWire, custom co-op ads in targeted regional media publications, and exposure on distinctive global micro-sites including WSJ.com and NYTimes.com. Our listings are marketplace standouts with 100% local coverage through RSIR.com and NWMLS feeds on our competitor’s websites, plus 100% global coverage exclusively on SothebysRealty.com. This unmatched global exposure boasts industry-leading website visitation, with more than 2.5 million unique visits a month, 66% of which originate from outside the United States.